Cleaning of the house is an important and regular task to create a hygienic environment in the house. Hardwood flooring is durable for the lifetime with proper care and maintenance. For hardwood floor, special attention is required for all little things that can dull its beauty over time. Hardwood flooring adds a beautiful touch to any room, so it is also equally important to know what is the best way to clean hardwood floors. Now get ready to clean hardwood floors with available cleaning tools. Step: 1 – Find Out Which Type of Hardwood Floor Finish? It is important to know which type of hardwood finish is there in your house because every hardwood finish needs different cleaning process. 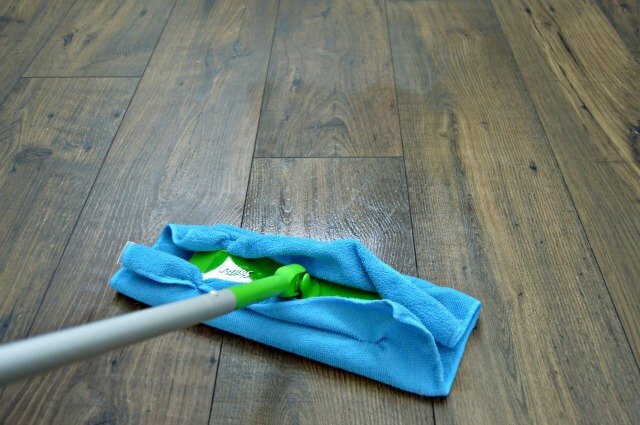 Otherwise cleaning will damage your hardwood floor. (a) First, wet the fine steel wool and rub it on an inconspicuous area or less used area, if light grey smudge appears on wool then it has wax finish. (b) Place few drops of water on the most worn(damaged) area of the floor, if it remains beaded after some minutes, possibly you have a modern seal, but if it soak or darken the wood floor, you either have an older finish (shellac, lacquer or varnish finish) or a poorly-finished wooden floor. Older hardwood floor has a shellac, lacquer or varnish finish, and they are not durable compared to the modern finishes. Nowadays most of the new hardwood floor surface finish with polyurethane, urethane, or a polyacrylic coating and all finishes are water and stain resistant, and it is easy to clean. These are the techniques to know which types of hardwood finish is there in your home! 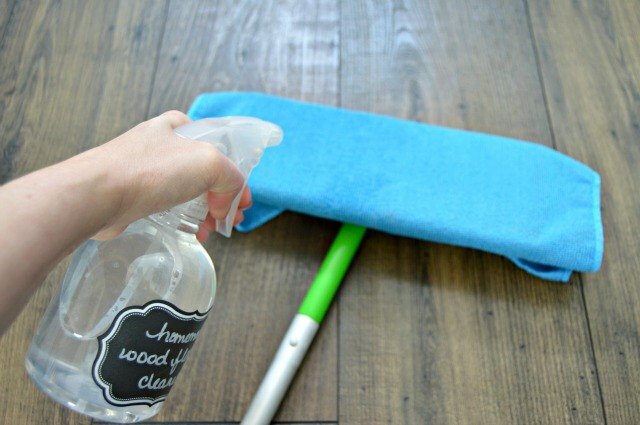 So it will be easy for you to choose the cleaning product to clean hardwood floors! This is your next step. Move the furniture for easy cleaning. If you drag furniture with great effort, then it creates a mark and also damages your wood flooring. When you move heavy furniture, use furniture pads to easily move your furniture and also protect flooring from the damage! After you move your furniture the next step is a dry cleaning. Dry cleaning is the daily cleaning routine and is necessary for hygienic environment in the house. It is the method for cleaning wood flooring which is hardwood floor clean with broom or microfiber mop or vacuum cleaner and water is not used in this method. 1st method is to use a broom (electric or nonelectric) or vacuum attached with a floor brush or use vacuum cleaner specially designed for the wood floor to vacuum all the dust and hair on the floor. 2nd method is to use microfiber cloth mop, move it in a zigzag motion to remove the dust on the floor. 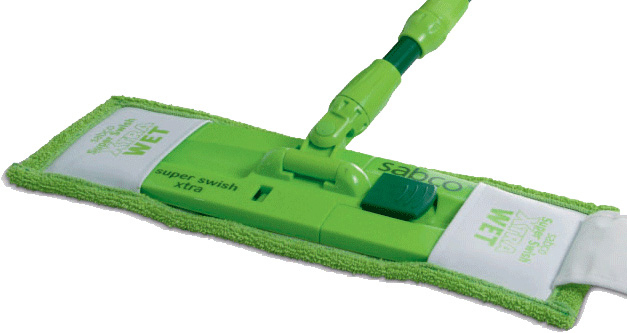 Microfibre mop grabs and holds lots of dust without releasing dust into the air. Remember: Dry cleaning is a daily cleaning routine and above methods are used for any types of wood finish (like shellac, lacquer or varnish, wax, polyurethane, urethane, or a polyacrylic). After finishing dry cleaning your next step is mopping. Before you start mopping, you will need to make a cleaning solution. 1st method is mix water and specially designed hardwood cleaning solution, and it fill into the spray bottle. 2nd method is mix few drops of detergent and required water, and then fill it into the spray bottle. Remember: Water-based, ph neutral and non-abrasive cleaners are used. Carefully read manufacturer’s instructions before using any hardwood floor cleaning solution. After making hardwood cleaning solution your next step is to mop the floor. Dry mopping or damp mopping is a method of mopping which uses the minimum amount of water. You can do dry mopping once in a week. You cannot use more water for wood cleaning, because water is harmful to wood flooring. Remember “More water is enemy for hardwood flooring” so use less amount of water. 1st method is to attach the microfiber cloth or dispose wet pads off the mop. Then spray cleaning solution on to the attached microfiber cloth. Or you can also spray cleaning solution on the wood floor and then clean it with attached disposal wet pads or microfiber cloth mop. 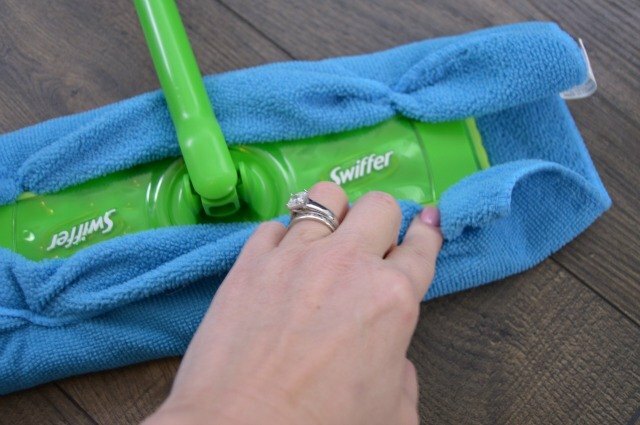 Mop the floor using back and forth motion, and then frequently add more cleaner onto the microfiber cloth or on the floor. In 2nd method, first make water cleaning solution in the bucket. Dipped the mop into the bucket and wring out the most of the water before mop is touched to the wooden floor. Mop your floor in a back and forth motion. Above procedure is repeated to finish the entire wood floor. Remember: Do not use water on to the Varnish, Lacquer or Shellac finishes. Buffing the floor is a last and optional step for the hardwood floor cleaning. 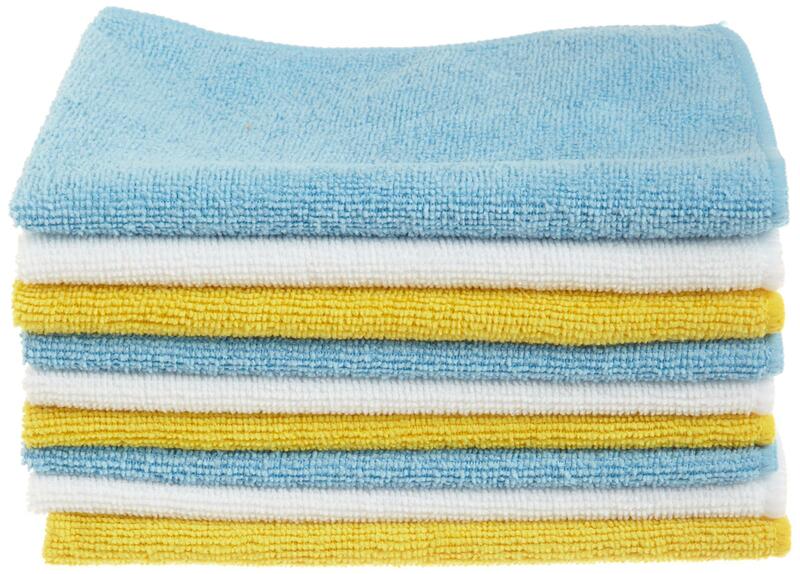 1st method is to use a microfiber cloth or dry cloth to wipe the floor to soak up excess water on the wooden floor. 2nd method is to use the buff pad for clean extra water or soap on the floor. This is an extra step for hardwood floor cleaning. For shine on the floor, you can include this step in cleaning otherwise it is optional. Remember: After few days check sealing of hardwood floor. Polish your floor once every two or three months to give shine of the wooden floor. The above given steps are the best way to clean hardwood floors. You can choose correct cleaning tools and best hardwood floor cleaner to clean hardwood floors. Hardwood flooring cleaning is easy when you know how to clean!